Family Dental Clinic – West End has been operating since 1990 providing exceptional dental care to all patients and their family, in a relaxed comfortable environment. At the beginning of 2013 it relocated to a more spacious, modern practice at 3/12 Browning Street West End (The Precinct). At the new location we have installed the most modern and advanced dental equipment in order to provide exceptional treatment to all our patients. The installation of a panoramic x-ray machine allows accurate diagnosis and treatment planning in the areas of wisdom teeth surgery as well as implant placement (please see article on our OPG and Cone Beam X-ray machine). At Family Dental Clinic – West End, we treat patients of all ages, from young children, to mum and dad as well granddad and grandma. Our new office provides wheelchair access. The building where we are located has on premises disable/ wheelchair car park. Treatment of the elderly as well as physically handicapped people is so much more convenient. Our internal surgery design allows easy transport of wheelchairs, easy manoeuvring as well as an internal disabled toilet facility. A five bay parking area is available for all our patients in the building’s courtyard area. Alternatively, there is convenient street parking outside the surgery as well as an underground car park underneath the Melbourne Hotel. At Family Dental Clinic – West End, our main philosophy is preventative dental care and helping all our patients maintain a healthy smile for a lifetime. We aim to make your entire experience at Family Dental Clinic – West End pleasant and comfortable. We do understand that dental emergencies and infections will be experienced by some people and will cause discomfort. We aim to treat these emergencies in a caring and effective manner promptly in order to establish your dental health and eliminate discomfort. We will help you maintain dental health through our preventative programme and if you have suffered dental disease in the past, we will help you re-establish your dental status through dental rehabilitation. We offer all general treatment, from restorative, to endodontics, implants, veneers, dentures, whitening, crown and bridge, minor orthodontics, mouthguards, sleep apnoea or snoring appliances, bruxism appliances, and of course cosmetic dentistry. We will talk you through all available options and provide you all information in order that you make the right decision regarding your treatment. Once treatment is provided we will help you through the care and maintenance of your treatment in order to keep healthy for a lifetime. At Family Dental Clinic, our mission is to provide exceptional dental care to all our patients in a relaxed, comfortable, modern and state of the art facility. Dr Sam Hadjipetrou graduated from the University of Queensland with Honours in 1986. Following his graduation, he worked at numerous government clinics as well as a locum in private clinics for a number of years. In the meantime, Dr Sam Hadjipetrou opened “Family Dental Clinic – West End” in 1990, while continuing to work at different clinics. Dr Sam Hadjipetrou enjoys all aspects of dentistry with particular emphasis on helping all patients maintain good oral health for a lifetime. 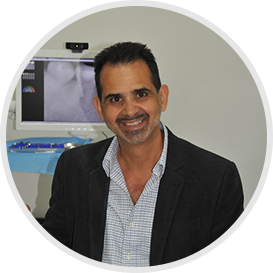 Dr Sam Hadjipetrou has maintained special interest over the years in the areas of endodontics, wisdom teeth surgery and implant dentistry. He has a commitment to professional development and attends regularly continuing education courses and seminars as part of his devotion to providing an exceptional standard of care. With his well trained dental team, Dr Sam Hadjipetrou places emphasis on outstanding dental care for every patient and wants to ensure that all patients feel comfortable and relaxed during every dental treatment experience at Family Dental Clinic – West End. When away from the clinic, Dr Sam Hadjipetrou is devoted to his wife and three children with whom he enjoys holidaying with especially the outdoors. He particularly enjoys camping, boating and fishing, and maintaining a healthy lifestyle. Dr Kanako Solomon graduated from a Bachelor of Dental Science degree at the University of Queensland with Honours in 2006. Prior to her Dental degree, Kanako completed a Bachelor of Medical Science at the University of NSW. Since graduation, Kanako enjoyed working in both public and private practices in Brisbane. She then relocated to Melbourne in 2009 where she worked in a private practice for the next 7 years. 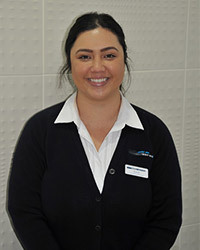 She has since returned to Brisbane with her young family and joined Family Dental Clinic West End in 2016. 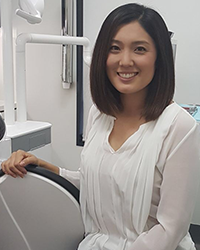 Kanako is passionate about helping her patients achieve healthy and beautiful smiles and finds this the most rewarding aspect of dentistry. She has a strong focus on a preventative treatment philosophy to help patients achieve optimal long-term dental health. 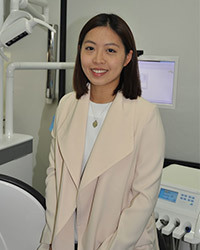 Kanako has a particular interest and training in cosmetic dentistry and orthodontics, including Invisalign. Kanako strives to ensure that her patients feel comfortable and relaxed during their appointments. Her patients often compliment her on her gentleness and attention to detail. When Kanako is not working she enjoys quality time with her husband and their two little boys. Kanako loves cooking, yoga and travelling with her family. 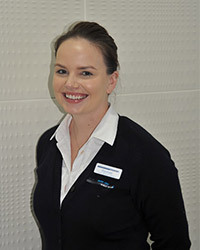 A key member of the Family Dental Clinic – West End since 2009, Torrie has obtained her Cert. III in Dental Assisting from the ADA, and is currently working towards her Cert. IV with a major in radiography. Torrie is heavily involved in the operations and HR side of the practice, and finds that she is drawn to the perio side of dentistry. As an avid animal lover, Torrie has volunteered for the RSPCA and follows a vegetarian lifestyle. She has also recently travelled throughout Europe and Asia. Rachael first came to Family Dental Clinic West End in 2013 soon after finishing High School. 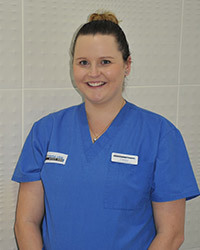 Rachael enjoys her work so much she even has a Cert III in dental nursing. 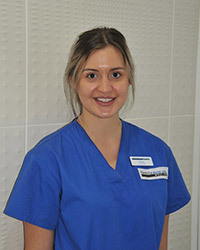 Rachael is heavily involved in the clinical side of the practice and finds that she is drawn to the oral surgery side of dentistry. Rachael likes the beach, music and enjoys travelling so much that she has been to 25 countries. Niki works part time with us while she studies psychology at Uni. She is involved in the clinical side of the practice and is drawn to the paediatric side of dentistry. Kiara first joined our team in 2016 and obtained her Cert III in dental assisting from the ADA in 2011. Kiara enjoys the surgical side of dentistry. In her spare time Kiara enjoys keeping active and living a healthy and fit lifestyle. She also enjoys a good coffee and the perfect slice banana bread. 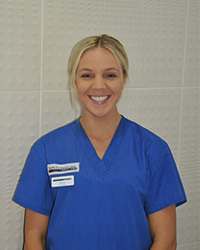 Casey first joined our team at Family Dental Clinic West End in 2011 and obtained her Cert III in dental assisting from the ADA in 2009. Casey enjoys both the clinical and reception aspects of the surgery. In her spare time, she enjoys discovering new places on weekend trips and relaxing with good food and company and spending time with her family. 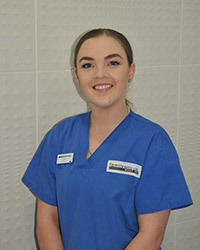 Holly joined our team in 2017, she is currently studying for her Cert III at ADA for Dental Nursing. Holly enjoys the periodontal side of dentistry. In Holly’s spare time she does freelance make up and enjoys finding a good breakfast. Ruby is our newest member who joined our team in late 2017. 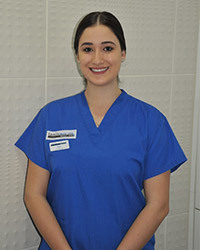 Ruby enjoys the clinical side of dentistry and loves learning something new every day. Ruby is originally from Cairns and loves the beach. In ruby’s spare time she likes to hang out with friends and seeing live music.